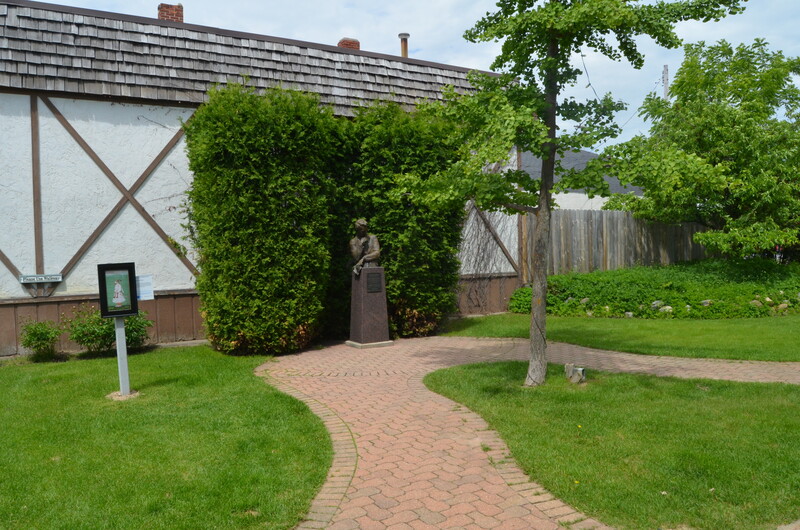 Gaylord, Michigan is home to a small park honoring Claude Shannon, a man whose name not be well known. 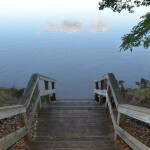 Shannon’s work, however, affects almost all of us on a daily basis. 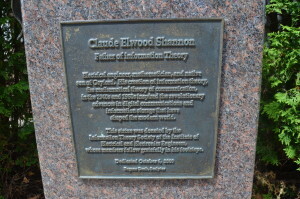 Considered the founding father of the information age, Shannon was a mathematical engineer whose “work on technical and engineering problems within the communications industry laid the groundwork for both the computer industry and telecommunications.” The park honors him with a beautiful setting in the middle of downtown, a plaque highlighting his accomplishments, and a statue sculpted by Eugene Daub. 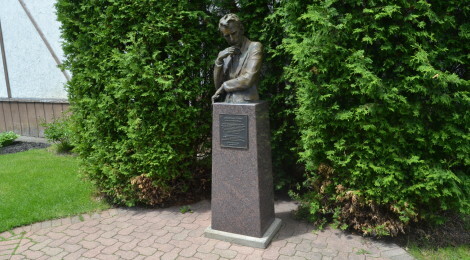 There are five other statues like this that honor Shannon, located at places that were significant in his life and career (University of Michigan, ATT Shannon Labs in New Jersey, Lucent Bell Labs in New Jersey, MIT, and UCSD). 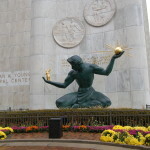 Shannon was born in Gaylord, Michigan, on April 30, 1916. 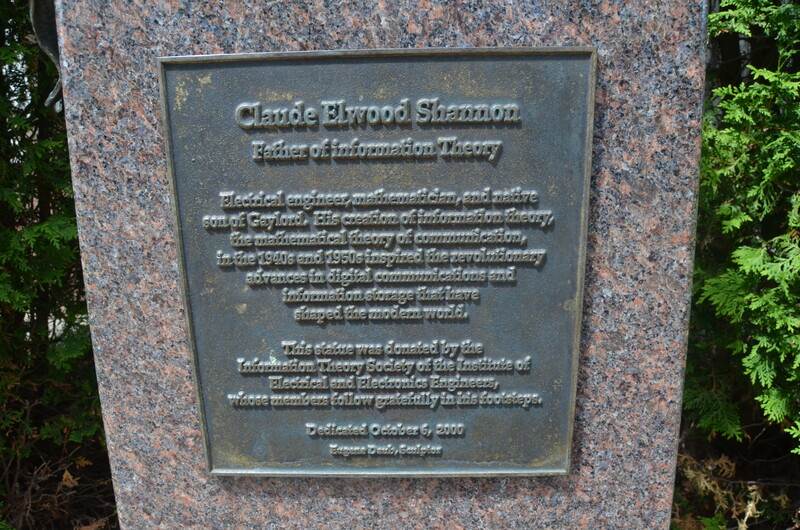 Shannon’s father, Claude Sr., was a judge in Gaylord. His mother, Mabel, was the principal of Gaylord High School. The first sixteen years of Shannon’s life were spent in Gaylord where he attended public school, graduating from Gaylord High School in 1932. His best subjects were science and mathematics, and at home he constructed such devices as models of planes, a radio-controlled model boat and a telegraph system to a friend’s house half a mile away. 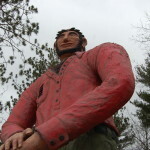 (http://cityofgaylord.com/ClaudeShannon.cfm). 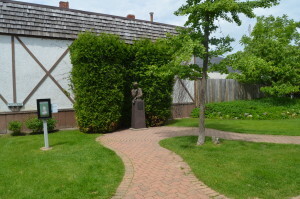 The Otsego County Historical Society also provides information on Shannon at http://www.otsego.org/ochs/ClaudeShannon/ShannonJumpPage.htm. 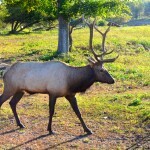 Claude Shannon Park can be found in downtown Gaylord, on Main St. between Center Ave. and Court Ave. Other Gaylord attractions we recommend visiting are Otsego Lake State Park and the Gaylord City Elk Park.